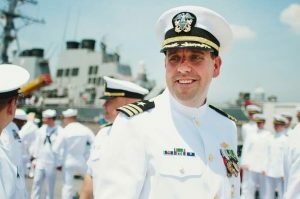 As part of JUMP’s ongoing initiative to reach out to those who have served in Japan, JUMP Program Officer Brian Graf interviewed Commander John Bradford, U.S. Navy, who has been living in Japan on and off since 1998, for a total of about 10 years. Until recently, he served as Regional Cooperation Coordinator for the 7th Fleet at Yokosuka Naval Base. Now, he’s a full-time language student in Tokyo. 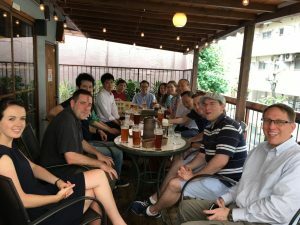 Bradford additionally is President of the Yokosuka Council on Asia-Pacific Studies (YCAPS), which recently held a JUMP event (view details here). How did you hear about JUMP? How long have you been a member? In a way I have been involved with JUMP from the start. I recall a conversation that I had with Ambassador [Ichiro] Fujisaki concerning his vision to start an alumni organization for U.S. military service personnel who had served in Japan. That was around 2009 or early 2010. I was very glad when that group was launched by an assembly of senior officers during a ceremony at the Army-Navy Club. At the time, I observed that it would be best if that top-down organization created opportunity for a more grassroots-style organization that met the needs of more junior veterans. It has been great to see the JUMP leaders step in and cultivate those grassroots foundations. Service in Japan has been a positive experience for hundreds of thousands of service members, and many want to keep building upon, or at least keep a link with, the opportunities and perspectives associated with that experience. Could you tell us a little about the Yokosuka Council on Asia-Pacific Studies (YCAPS)? 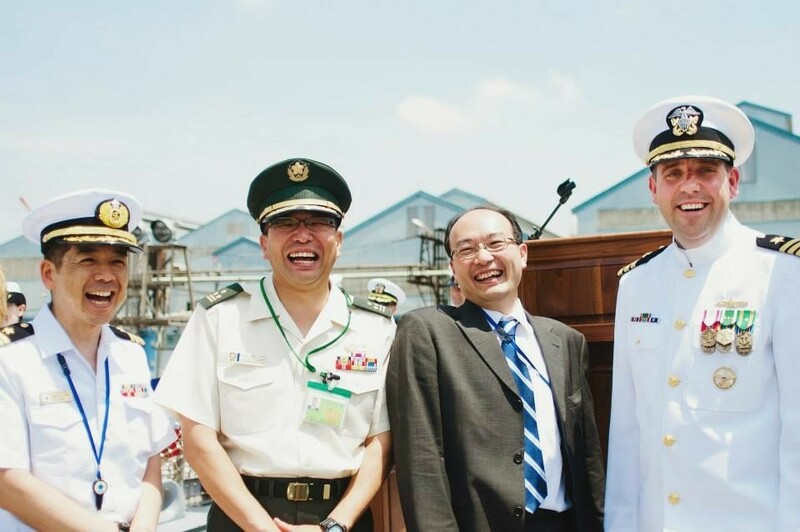 YCAPS exists to help members of the Yokosuka community learn more about the strategic, diplomatic, and legal issues affecting the Asia-Pacific region. 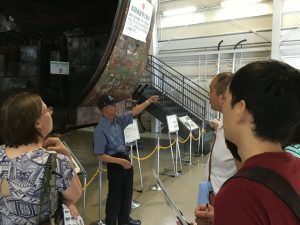 We take advantage of Yokosuka City’s unique pool of global expertise and rich maritime heritage to build networks between individuals, promote dialogue, provide world-class educational opportunities, and enable professional mentorship. So far, we’ve hosted seminars led by experts coming from around the world, taken interesting tours of places of strategic interest in and around Yokosuka, and gathered for social networking events. Here are a couple of events that are a great sample of our activities: On November 16, we organized the first YCAPS-JUMP Seminar by hosting a panel of experts who discussed Europe’s role in Asia’s maritime security. On December 3, we’ll have a guided tour of Admiral Togo’s flagship from the Battle of Tsushima, and then go for an end-of-year social lunch of authentic Yokosuka Navy curry. We want to be a place where people have fun helping each other learn and grow. How can interested people get involved with YCAPS? Just check out the upcoming events on the YCAPS webpage, RSVP, and turn up to join the fun. Why would you say the U.S.-Japan alliance is so important? The alliance is the cornerstone of stability in Asia. This is said so often that the words have become a bit cliché, but it is also absolutely true. This tight partnership between two of the world’s most important nations is what makes the Asia-Pacific the engine of the global economy. The alliance is also key to the United States’ social and financial well-being. How did you first become involved with Japan? 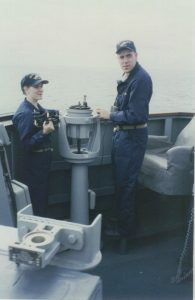 In 1997 I graduated from Cornell and commissioned into the U.S. Navy. After my initial accession training at the Surface Warfare Officer School in Newport, Rhode Island, I was assigned to USS John S. McCain (DDG 56), which had just joined the Yokosuka waterfront as the second forward-deployed Aegis destroyer. I joined the ship on deployment in the Middle East, and I vividly recall steaming into Yokosuka harbor in the summer of 1998 and seeing my new hometown emerge. What was the hardest thing to get used to when you first arrived? Honestly, I’m not sure. I was going through many transitions at the time, leaving college, starting to live on a ship, learning the job of a Naval officer, etc. My life was so full of changes back then, but I was quite happy working through them. I suppose the hardest thing was probably leaving my close-knit crew of college friends, but that would have also been true if I’d been stationed in Norfolk or San Diego. Tell us about an embarrassing culture shock moment (we all have them). Around 1998 or 1999, I remember returning to Japan from a vacation in Southeast Asia and eagerly phoning one of my Japanese friends from my cellphone (the Japanese ones were so small compared to those I’d seen in the U.S.!) to talk about my trip. I made that call from my seat on the train and a helpful man came over and pointed out that in Japan this is considered very rude. He suggested that I go to the end of the car to finish the conversation. I was pretty embarrassed at the time, but now it drives me up the wall when I listen to everybody else’s phone conversations and the music from their headphones when I take public transit in the U.S.
Any advice for individuals getting ready to be stationed in Japan? Just stay flexible, stay optimistic, and stay focused on what you want to achieve professionally and personally while you are here. Describe one of your favorite memories from Japan. Wow! How can I choose? 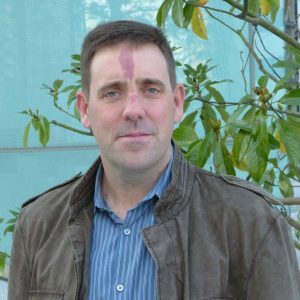 Having PCSed (relocated) to Japan three times, my total time in Japan has added up to about 10 professionally rewarding and tremendously fun years. A story I like to tell dates about my tour in Sasebo is when I bought my first sofa. I’d taken a bus out to an area a few miles from my apartment where most of the furniture stores are and walked around between the various shops to see what was available. The last shop I visited was a bit further from the others, so I took a taxi. When I paid, I only had hundred-yen coins and the driver didn’t have many 10-yen coins, so he was 40 yen short on the change he owed me. He was super-apologetic and I told him not to worry about it. I went into that final store, found a sofa I liked, paid for it and arranged shipping. It was a big investment for me at the time, so I figured I definitely needed to walk home rather than spend more money on a bus or taxi. A few minutes into the walk, a taxi pulled up next to me and I turned to shoo it off. I was surprised to see that it was the same driver who had given me the previous ride. He’d been waiting for me and now insisted that he give me a free ride home to compensate for the “poor” service he’d previously shown! Where do you think the U.S.-Japan Alliance is headed? I think the alliance is definitely going to get tighter. After more than 50 years of cooperation, we know each other well and how to deepen the relationship. East Asia is becoming a tougher neighborhood, so that alliance-strengthening is needed. At the same time, Japan is looking to be more active in global security, and the U.S. is their global partner of choice. Do you have an interesting story to tell about your time serving in Japan? Let us know and you could be the next member featured on JUMP Spotlight Series! Read previous editions of the JUMP Spotlight Series here.